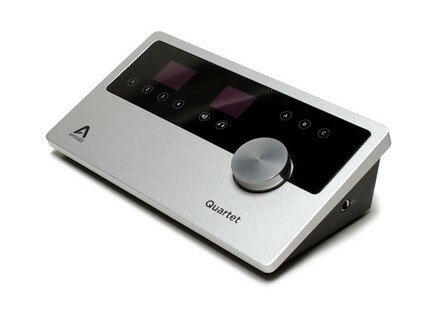 Quartet, USB audio interface from Apogee. 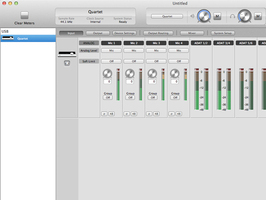 2 Duet = 1 Quartet? A little more than one year ago, we reviewed the Duet 2, the second generation of Apogee's mobile USB audio interface with two mic inputs. 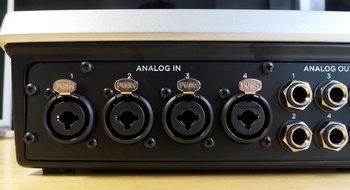 With the Quartet, the Californian engineers have produced the missing link between the Duet 2 and the large Symphony I/O, that is an interface with four mic inputs and ADAT. Let's connect some mics to the unit and listen to the result. 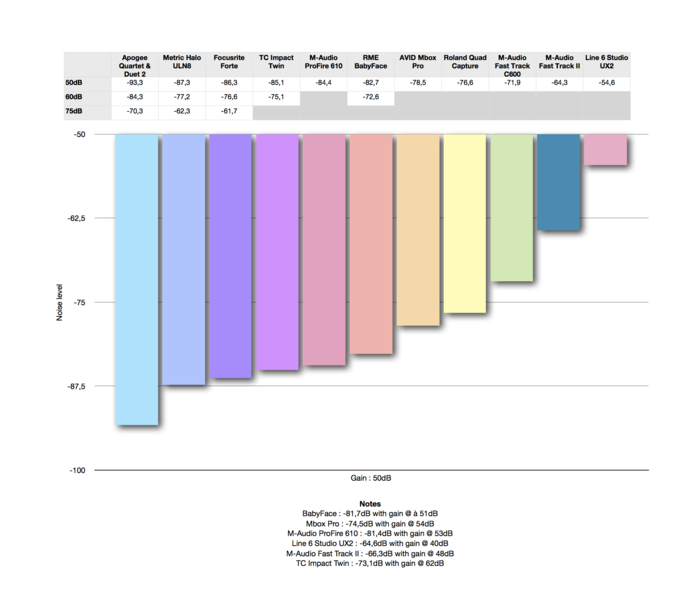 Since we're true audio freaks like you, we couldn't refrain from giving you some figures. Let's start with the really impressive preamps: not only do they offer up to 75dB of gain (competitors reach about 60dB, except Focusrite's Forte that achieves the same performance), but they are the quietest in our comparison as well! 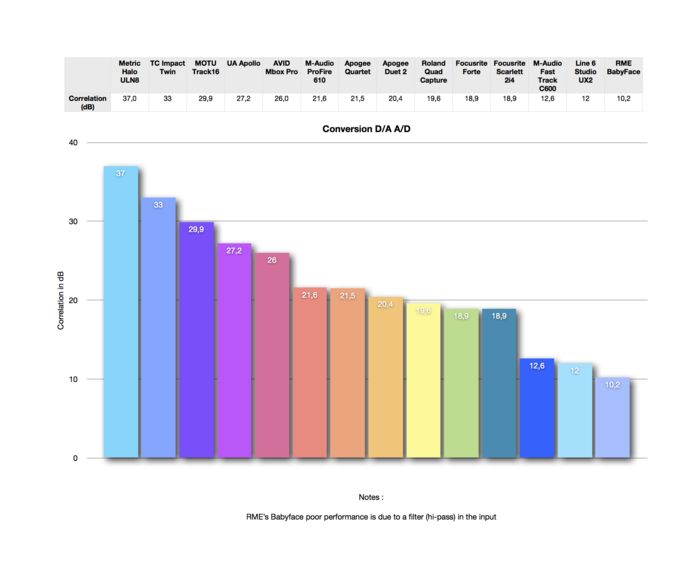 For your information, the results are exactly the same as with the Duet 2, so we are pretty confident that they have the same preamps. 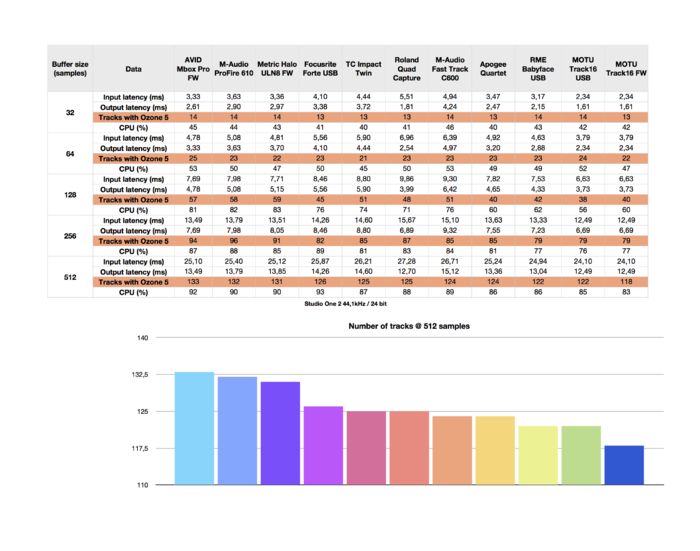 When it comes to noise, they outperform the high-performance preamps of our ULN8 Metric Halo, which go up up to 91dB, and the Forte which are already quite impressive. So you get a lot of gain and very low noise, exactly what we expect from the preamp of an audio interface, right? 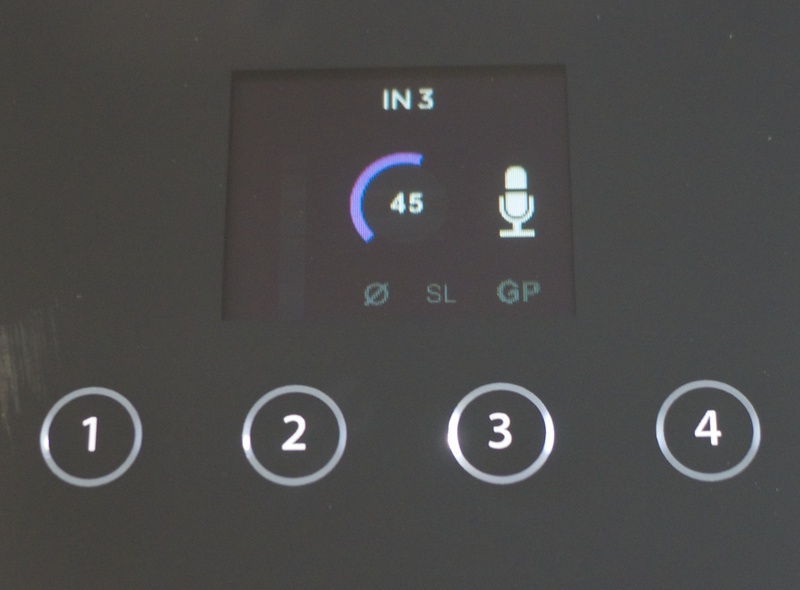 Apart from allowing us to compare them with the preamps of the ULN8, our recordings show that they are utterly transparent. 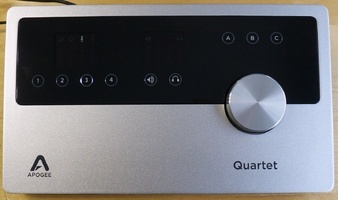 You can consider the Quartet as a larger Duet 2, which is no surprise. The product is still very easy to use, well thought-out, looks nice and still has no Windows support... Their sound is exactly the same thanks to its high-quality, low-noise preamps with 75dB of gain. 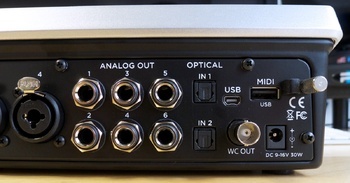 Luckily, Apogee didn't forget the digital inputs this time and added eight ADAT channels. 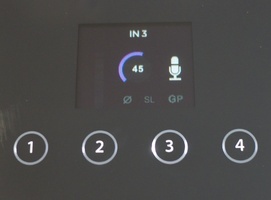 At about $1,300 retail, the unit is quite pricey, which isn't very surprising coming from Apogee. However, the money seems justified considering the features and performance, even if we would like to have internal processing possibilities and a generic USB port. 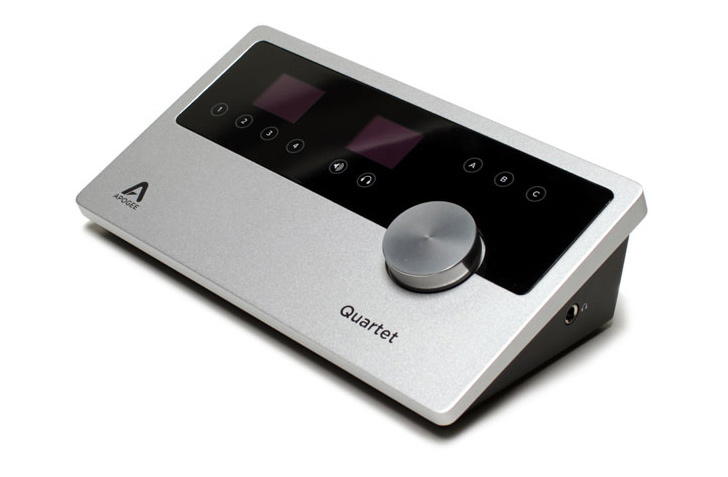 If you have a Mac and $1,300 in your wallet, you like simple, nice-looking things and need four mic preamps, you should consider the Quartet very seriously.